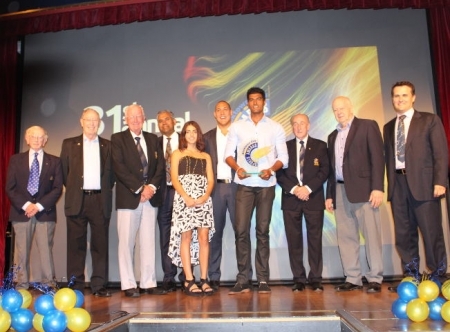 BLACKTOWN City has announced the winners of its 2013 sports awards. INTENSIFYING media speculation surrounding the Football Federation Australia’s sale of Western Sydney Wanderers is premature, according to the club. 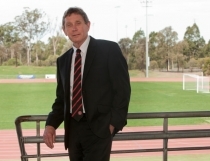 PARRAMATTA City Council and the Western Sydney Wanderers have formed a new partnership aimed at building stronger links between the club and the local community. ENGLAND’S Laura Davies is ready to get 2014 off to a perfect start with a win in the Bing Lee Fujitsu Women’s NSW Open. HE’S the boy from Wentworthville in Sydney’s west and Joel Chianese, as a product of the large Western Sydney football production line , is on the verge of proving he can be counted as one of the star performers in the A- League. BRAND Western Sydney Wanderers is hot property. In its second season, the club is already selling more football jerseys and recruiting more members than popular NRL clubs the Parramatta Eels and Wests Tigers. PENRITH Panthers have taken number one spot in this year’s edition of the Top 20 Most Valuable Australian Sports Brands with a value estimated at $46.2 million.